Properties in Whistler Cay Heights average 4.5 out of 5 stars. Property 6: Where The World Comes To Play! Property 13: Valhalla #5 - VILLAGE location, walk to everything! - Hot Tub, Free Shuttle, Parking & WIFI! Property 16: Whistler Village North, 1 Bedroom Townhouse, Great Location!! 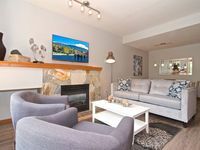 Property 19: Whistler Two Bed Townhome steps to ski lifts and village! Best location! 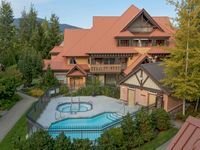 Property 27: Relax in style, steps from Whistler village with outdoor pool & private hot tub! What a place! Everything you need in this beautifully appointed condo. We had a wonderful time. It was the perfect size for our family. Jill and Shirley made our stay with reservations and tickets so easy!